The Ambler Area Running Club proudly presents the Phils Tavern Quarter Marathon on Sat., July 13th at 7:30 AM - a unique race created by runners for the running community . The race course is mostly local roads, with two short sections of flat trails/cross-country grass to keep things fun! We feature flexible registration options. You pay $20 for race registration, add an optional shirt and make an optional donation to our 2019 beneficiaries: Pennypack Farm & Education Center, Salvation Army Children's Services, Wissahickon Valley Boy's & Girl's Club and Wissahickon Valley Watershed Association. Proceeds from our 2019 races will be donated to these worthy charities selected by AARC members. Please give generously. The	Salvation	Army	Children’s	Services provides	foster	care	and	adoption	services and	support	programs	that	take	a	holistic approach	to	care	and	provide	for	the physical,	emotional	and	spiritual	needs	of the	children	we	serve. In	2019,	we	plan	to	launch	our	Team	Is Family	Sports	Scholarship	Program to provide access	to	sports for foster	and adoptive	children	in	our	program. We greatly appreciate the support from the running community in	funding	this	program for	the	children	we	serve	in	Montgomery County. Children	in	foster	care	face	enormous stress	and	difficulty	in	their	lives,	and participation	in	sports	can	give	them	an outlet	to	relieve	stress,	build	confidence, learn	important	social	skills	and	support their	physical	and	emotional	well-being. Many	children	entering	the	foster	care system	may	not	have	had	the	opportunity to	participate	in	a	sport	before,	so	this program	will	provide	an	important opportunity. Ambler,	PA. It	is	the	newest	branch	of	the North	Penn	Valley	Boys	and	Girls	Club, The mission	of	the Boys	and	Girls	Club	is	to inspire	and	enable	all	young	people, especially	those	who	need	us	most,	to reach	their	full	potential	as	productive, caring,	responsible	citizens. The organization’s	activities directly	involve	the promotion	of	athletics	& fitness	in	addition to the	promotion	of education, character & leadership,	health	&	life	skills,	and	arts	& technology. Register here on Run The Day. Registration is only $20 through May 31th. Early packet pick-up & in-person registration - Thursday July 12, 6-8 PM at The Phil's Tavern, 931 Butler Pike, Blue Bell, PA 19422. Cash or check. $25. 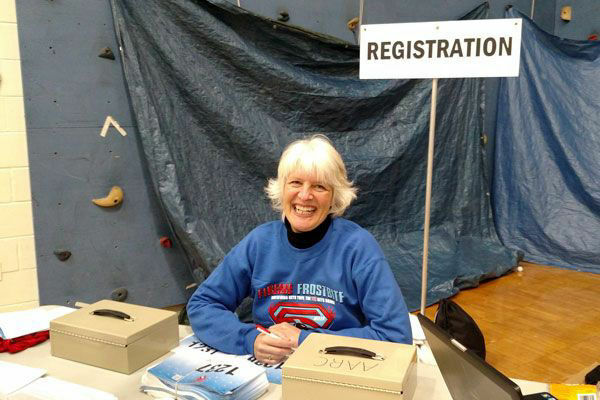 Race day packet pick-up & in-person registration - Sat. July 14, 6-7 AM at Temple University Ambler gym. Cash or check. $25. Wheel measured quarter marathon course. Chip timing for the most accurate results. Extra timing mat for 10K split. Awards will be presented to male and female overall winners and for first, second and third place finishers in each age group. We thank our sponsors who regularly support AARC, our races and our race beneficiaries. Click here for a description of sponsorship levels and benefits or to print a registration form. Click here to register onine as a sponsor for either or both of our annual races. Phil's training runs are Sundays at 7:30AM beginning May 12th. It's a great way to get to know the course and meet other local runners. We'll meet in front of the red barn for a quick photo and run the first mile together before splitting up into different pace groups. Group leaders make sure that everyone stays on course and finds their way back to the starting area without incident. Here's a link to the course map. Directions to the Temple University Ambler Campus are available here. When you reach the campus please park in the student parking lot. There are entrances to the student parking lot on both Meetinghouse Rd. and on Butler Pike. Volunteers will be available to provide directions and answer any questions. © Copyright 2019 Ambler Area Running Club.